What is meant by link building? Well, in a nutshell it is the process of gaining valuable backlinks from other websites. A backlink is where another website links through to yours from their own. Good backlinks (as in those from reliable, reputable and respected sources) can have a big impact on how well your website ranks in Google Search. In the same token bad backlinks (those from spammy sites or minor directories) can have a negative impact on your websites performance in Google Search. So, link building is the process of gaining valuable backlinks to not only drive more traffic to your website directly from others, but to also gain favour in Google Search itself. Before Google’s search algorithm became insanely intelligent and thorough, website owners could employ ‘black-hat’ (dirty) tactics to try to obtain as many links as possible. For example, people would BUY links from companies set up to specifically obtain backlinks from poor quality domains/sites. Nowadays, Google is the leading search engine in the world, and the reason is because it presents the user with the most relevant, high quality websites available for that specific search results. 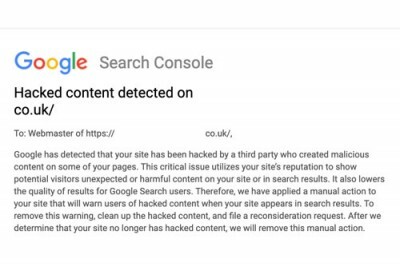 If Google finds that a website has employed unethical practises to gain backlinks, it will penalise the website with a manual penalty, which could result in the site being removed from search results completely. 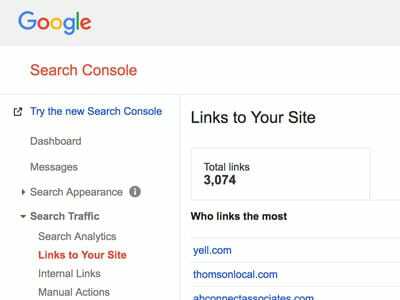 How Does a Small Business Tackle Link Building? 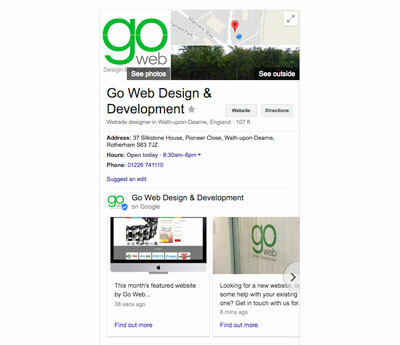 Despite working for some big names, Go Web primarily builds websites for small to medium sized businesses based in the Yorkshire area (and we are proud to do so). Our companies include tradespeople (builders, plumbers), small online stores, solicitors, accountants and just about everything else you can think of. Some of these companies really struggle to find ways to gain valuable links from reputable sources. The reason they find it difficult because the days of high-volume, spammy links are gone. These days, links must be gained ‘naturally’ from other sites who like what you do, or who want to share your site and content with it’s own audience. Therefore, to gain quality links, a business has to sometimes think outside the box. The company may not have the time or money to use an SEO copywriter, or even someone internally who can add quality content to their website on a regular basis. However, all is not lost. We do link building work for a lot of our clients and have great success doing so. Below are a few ideas which might help you and your business do the same. 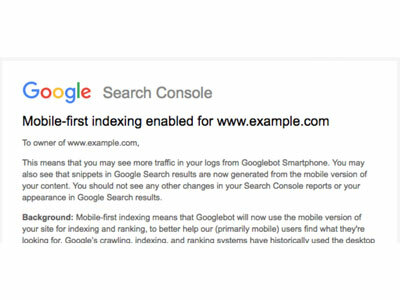 At the bottom of this article you will see that I have linked to two other websites (Google and Moz). The reason I have done so is because they provide better content on this subject than anyone else, in my opinion. I have therefore naturally linked out to their site in order to give you (my reader) further information to read. They can put it much better than I can. What you need to do is get people to do the same when it comes to your website. So have a think, what can you write about that will make readers really interested? Bodies you subscribe to – you’re paying them, can they link to you? If you work Business-to-Business, could you get in touch with clients and ask them to link to you via their website? You may have to give them something. For example, could you write an article or blog post for them, in which your company is mentioned? This way, you’re adding value to their website as well as your own. This could be anyone you pay money to. For example, I do some work for a building company. We regularly update their portfolio, in which we mention where they get the materials from for specific types of work. In this scenario, the supplier values your business, so why not contact them and ask them to add you to their site in the ‘Our Clients’ section (or something similar)? If you have a good quality and link out to another site, they should be appreciative. If you do this enough, you should find that some of them link back to you in return, provided they have reason to. To find out more about link building, take a look at Google’s advice, straight from the horse’s mouth. Also, check out Moz.com for lots of link related content. To find out how we can help you attract more backlinks, give us a call on 01226 741110. We are a Web Development company based between Barnsley and Sheffield in South Yorkshire. We specialise in Web Design, Web Development, Search Engine Optimisation and the web platforms WordPress and Magento. We work hard to build and maintain excellent working relationships with locally based clients. Our track record when working with Yorkshire based businesses speaks for itself. After years in the business, we have helped hundreds of Yorkshire businesses develop their websites and achieve their online marketing goals. © Go Web Design & Development Ltd. All materials, including text, logos, images, videos and graphics may not be used without the written permission of Go Web Design & Development Ltd.